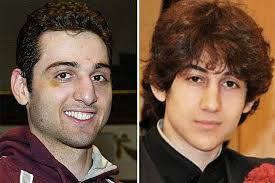 Emerson’s Investigative Project on Terrorism reviewed videos posted on the YouTube channels of Tamerlan Tsarnaev and his younger brother Dzhokhar A. Tsarnaev. Both brothers had YouTube channels in the United States and in Russia. Emerson’s group reviewed about half of the 22 videos posted on the U.S. channel. The videos were viewed by a small number of people. One video received 5,000 views, another just 1,000 views.